At Lefstein-Suchoff CPA & Associates, LLC, we take the proactive approach to meet each client’s unique, personal, and business tax goals and needs. Our goal is to save you more money in taxes than our overall fees. Execution is not merely about meeting deadlines. It is implementing those calculated and deliberate plans with expertise and skill within the bounds of taxation laws and current accepted business practices. We are assertive tax planners. It’s midyear 2013, and if you haven’t thought about your 2013 tax situation yet, it’s time to do so. By now, you should have a good idea of what your 2013 income and deductions will be. There are several very significant tax changes this year, and you need to start planning now if any of them will affect you. Don’t procrastinate or you could end up paying more tax for 2013 than necessary. Contact us to schedule your midyear review. Strategic tax planning works to align tax regulations and obligations as closely as possible with a business’s strategic vision. In doing so, it helps minimize tax liability and increase the resources available to grow the enterprise. Lefstein-Suchoff CPA & Associates ongoing approach to tax planning allows us to develop optimum tax strategies for our clients and enables us to implement successful strategic tax planning for our clients. More often than not, we are able to save our business clients more in taxes than our overall fees to handle their books, advise and prepare their tax returns. Let us help you save taxes and prepare for your future. 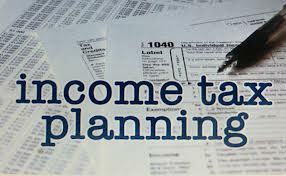 On 07/03/2013 / Tax Planning & Preparation / Comments Off on It’s Tax Planning Time!